6 Nations RugbyBook close to Aviva action! Located just a 10-minute walk from the Aviva Stadium, Herbert Park Hotel is the perfect place to stay when looking for hotels near the Aviva Stadium. The Aviva Stadium Dublin is home to Irish Soccer, Irish Rugby and hosts several concerts throughout the year. Access to the Hotel on match/event dates via Anglesea Road and Merrion Road is not restricted. 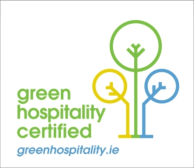 Look no further than Herbert Park Hotel for all your accommodation needs. Guest Review - "This hotel was perfect for our stay - 20 mins walk from the city centre and 10 mins from the Aviva stadium - it was also overlooking Herbert Park which was nice for a wander in the morning. 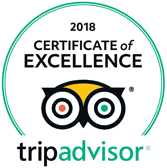 The staff were all really friendly and helpful and the facilities immaculate - could not fault it at all and we will be back !!"